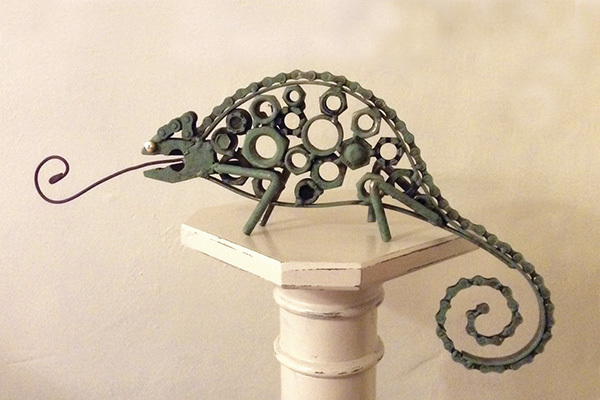 Steel and metal sculpture inspired by botanic, animal and human forms to create unique sculptures by welding, recycled and discarded metals –transforming something with a past into new realistic or abstract creations. Cycle to Eva’s Open Studio with Veronica Chamberlain on 30 September. All women are welcome but it’s first come first served – spaces are limited. It’s a great chance to get some exercise, meet interesting people and enjoy the work of our local artists. Click on the link below and sign up on the website – it’s free!